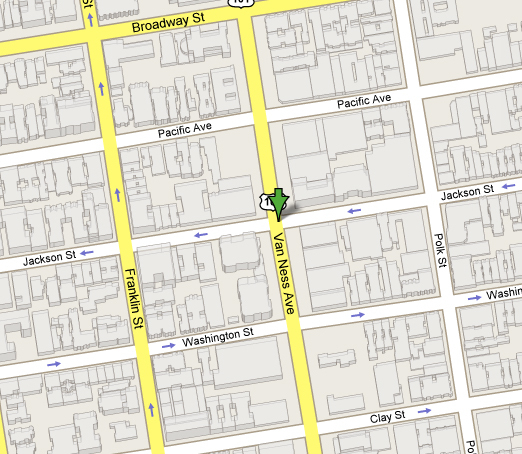 The only 2 hour metered parking is on Jackson between VanNess and Franklin. Most other metered parking in the area is 1 hour only. 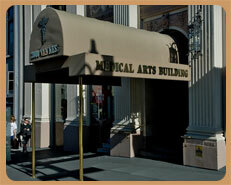 Parkng garages are located on Jackson between VanNess and Polk, Polk Street and Pacific Street. Click the map to get directions from Google. Please call us to schedule an appointment between the hours of 9am - 5pm Monday-Friday and 9am-2pm on Saturday. We do no accept walk-ins. Please be prepared with a Credit Card #, address, and phone number when calling to schedule an appointment.